Today, Juan Guaidó, who was virtually unknown abroad just two months ago, is recognized as the interim president of Venezuela by most Western countries. 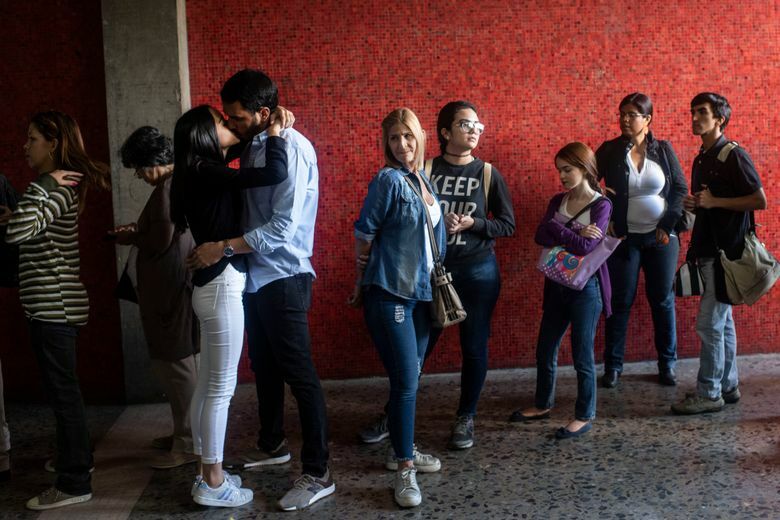 CARACAS, Venezuela — For about an hour, it looked as if the short, brilliant career of Juan Guaidó was over. Guaidó, a youthful Venezuelan opposition leader, was driving to a rally outside Caracas on Jan. 13, when someone yanked open the door of his blue Ford Explorer. Masked men clutching assault weapons grabbed him, shoved him into a white van and sped off. “It’s a kidnapping!” Guaidó’s supporters tweeted, as a video of the capture ricocheted around the internet. Today, Guaidó, 35, 35-year-old politician who was virtually unknown abroad just two months ago, is recognized as the interim president of Venezuela by most Western countries. Guaidó — a low-key, baseball-loving engineer elected to congress in 2015 — is fielding calls from President Donald Trump and other leaders and addressing massive protests. For the first time since coming to power in 2013, Maduro’s authoritarian, quasi-socialist government is in danger of falling. The story of Guaidó’s rise involves stealthy travel, diplomatic maneuvers in Washington, Canada and South America, and months of strategizing by Venezuelan activists. But it is also the story of an accidental leader who assumed his party’s mantle at the moment it suddenly mattered. For Trump, Venezuela has been a priority from his first week in office, when he surprised his national-security team by calling for a briefing on the oil-rich country veering toward economic collapse. “He wanted to know what we were doing and how we could do more,” recalled Fernando Cutz, a former staffer who participated in the session. But perhaps the most crucial event in Guaidó’s ascension was a decision Jan. 4 by Canada and a dozen Latin American countries not to recognize Maduro when he was sworn in for a second term Jan. 10. The bloc’s foreign ministers — meeting in the Peruvian capital in a forum known as the Lima Group — had already condemned last year’s Venezuelan election as fraudulent. Their strategy was to refuse to recognize Maduro after his Jan. 10 inauguration. 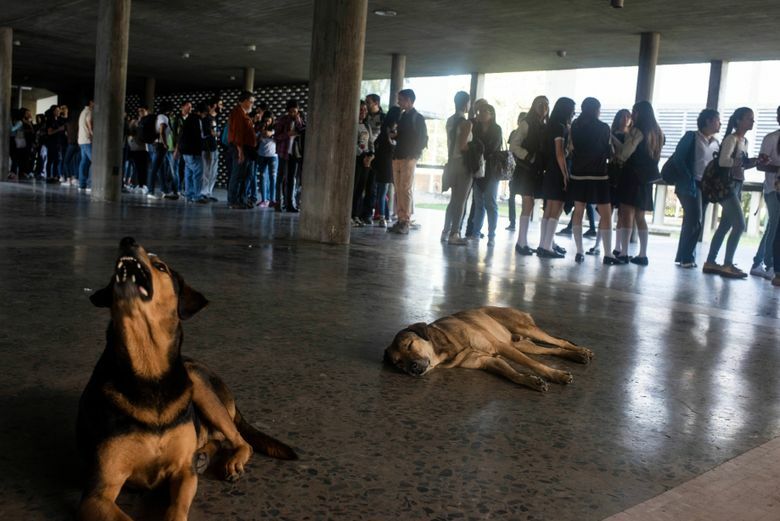 But the activists debated whether to form a transition council or do something bolder: invoke a constitutional clause to pronounce the head of the opposition-dominated congress the temporary head of state. Never mind that Maduro had largely sidelined the congress, known as the National Assembly. “We spent hours and days deciding what to do,” said Borges. 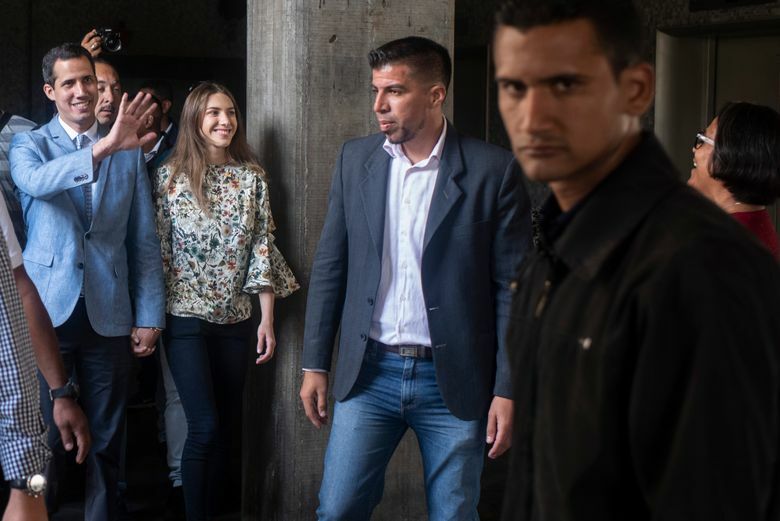 “Guaidó’s low-key background helped people trust him, and he also had a good relationship with other parties,” said a senior party official, speaking on condition of anonymity. Guaidó’s detention Jan. 13 only increased his name recognition. Vice President Mike Pence called the young politician to express support. “Concern for his safety and his family’s safety” was a factor in U.S. recognition of Guaidó, said a second White House official, who also spoke on the condition of anonymity. Among those Guaidó met was Luis Almagro, the head of the Organization of American States (OAS) — and a proponent of turning over power to the National Assembly leader. Guaidó phoned Almagro after their Dec. 14 meeting and said he would need the support of the United States, Colombia and Brazil, according to a senior OAS official, who spoke on the condition of anonymity. “Obviously, we wanted to make sure the next day was peaceful, and the actions constitutional,” the official said. 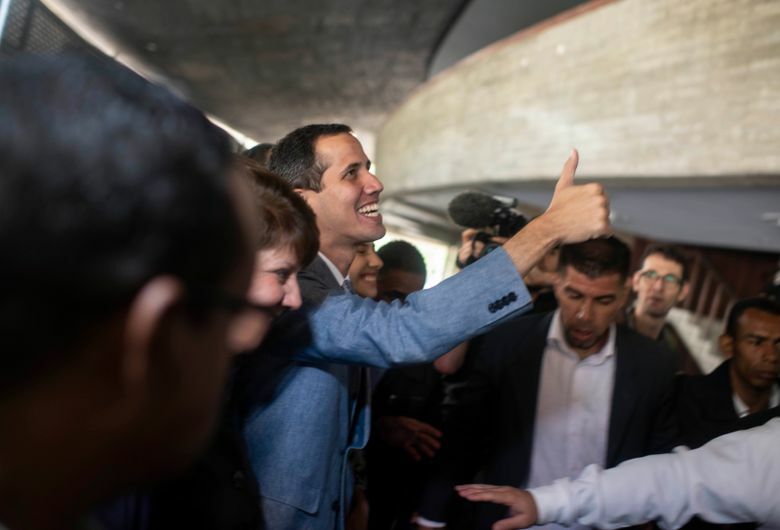 With the support of most of the hemisphere, Guaidó stood before a crowd Jan. 23 and swore to assume the powers of the presidency. In late January, he tweeted that agents from a notorious police unit went to his apartment building in Caracas, asking for his wife, Fabiana. He rushed home. To his relief, his wife and his 1-year-old daughter, Miranda Eugenia, were unharmed. Sheridan reported from Mexico City and Gearan from Washington. The Washington Post’s Carol Morello, John Hudson and Emily Rauhala in Washington and Anthony Faiola in Miami contributed to this report.